The new Star Wars movie Rogue One won’t arrive until December, but hype for the movie is already at a fever pitch. 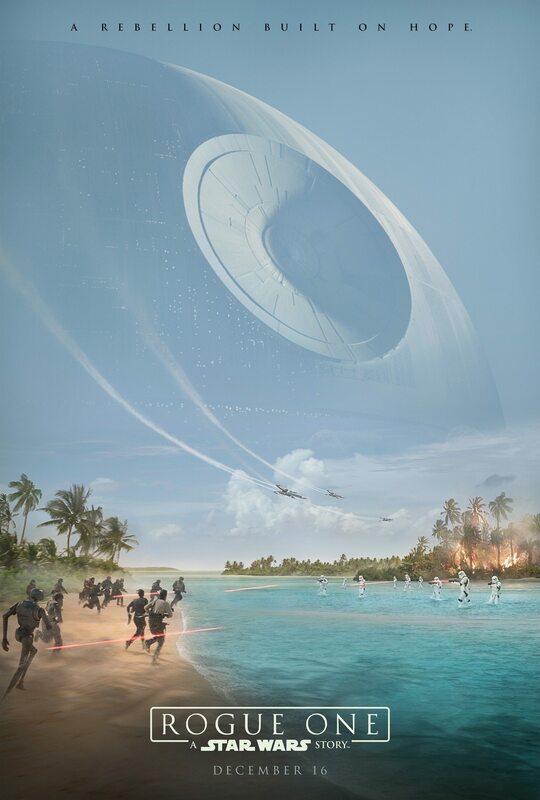 A new teaser poster has been released showing the Death Star looming over the horizon of an alien world. It makes for a foreboding shot, but could a Death Star really appear so large in the sky? 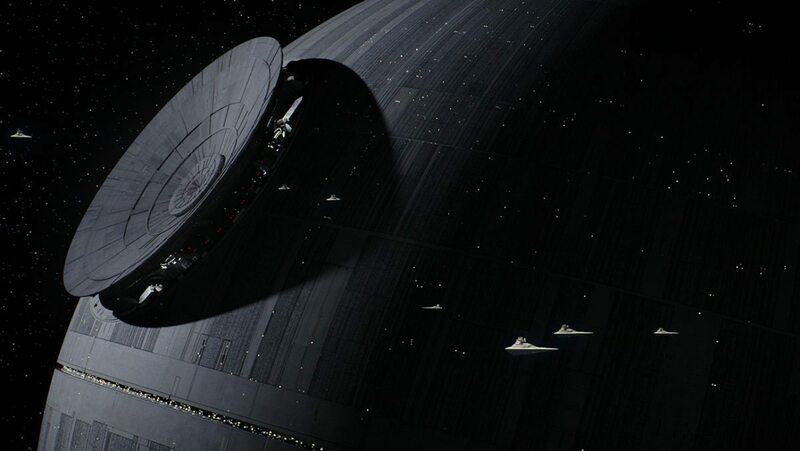 In the original Star Wars movie, the Death Star has the appearance of a “small moon.” The size of this Imperial superweapon isn’t specifically mentioned, but the technical specifications list its diameter as about 120 kilometers. That’s larger than the moons of Mars, but tiny compared to our own Moon, which has a diameter of about 3,400 km. If the Death Star orbited Earth at the same distance as our Moon, it would have the same apparent size as Venus at it’s brightest. In other words, it would look like a bright planet rather than a moon. In the words of Master Yoda, “size matters not.” Or more accurately, size is only one factor among many. The key is what’s known as apparent size, which depends upon both the actual size of an object and its distance from you. A small but close object can appear bigger than a larger object far away. So what if it’s simply a matter of the Death Star being close to the planet? While that would help, it wouldn’t solve all the problem. In the Rogue One teaser poster it looks like the Death Star spans about 40 degrees across the sky. With a bit of basic trigonometry we find it would need to be about 180 km away to have such a large apparent size. That’s closer than the International Space Station, and so close that atmospheric drag would be a serious problem. 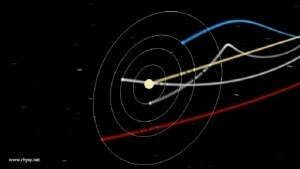 So the Death Star can’t be so close it spans half the sky, but it could be close enough to appear larger than our Moon. For example, if the superweapon were 1,000 kilometers above the Earth, its apparent size would be about 8 times that of the Moon, making it by far the largest object in the sky. We would be able to see surface features of the Death Star such as those depicted in the poster. To our minds it would appear huge, but its actual apparent size would still be pretty small. The Moon itself has an apparent size of only half a degree. If you held your pinky up at arms length it would easily cover the Moon. Even if the Death Star had an apparent diameter 8 times larger, you could still cover it with two fingers at arms length. While the Death Star couldn’t appear so large in real life, there is still a way to give it a deceptively large appearance. Photographers do it with our Moon all the time. The trick is to use a telephoto lens to focus on a distant object near the horizon, such as a building or tree line. The apparent angle of a distant building is small, but zooming in makes it look big. 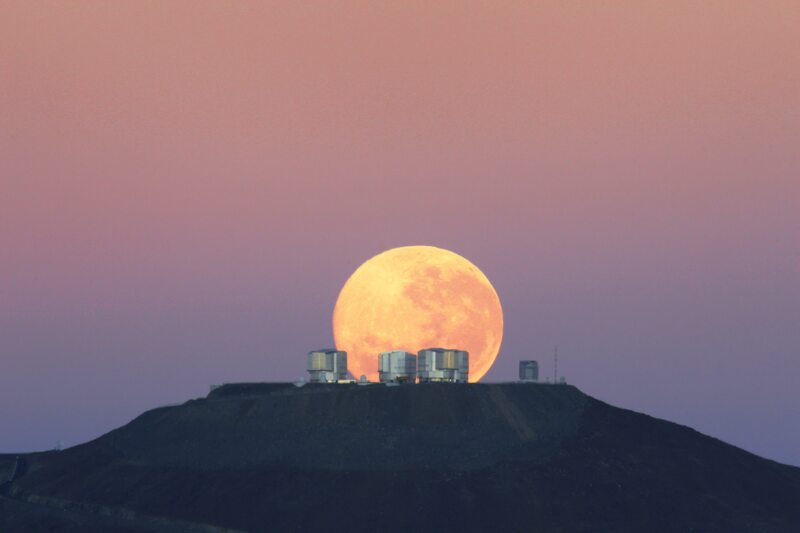 This also makes the Moon look much larger than it actually is. Using this trick the Death Star could be made to loom over a battlefield, as depicted in the poster. In the Star Wars universe a good photographer might be able to such a shot after all. Perhaps the picture is taken from a small moon orbiting the deathstar.